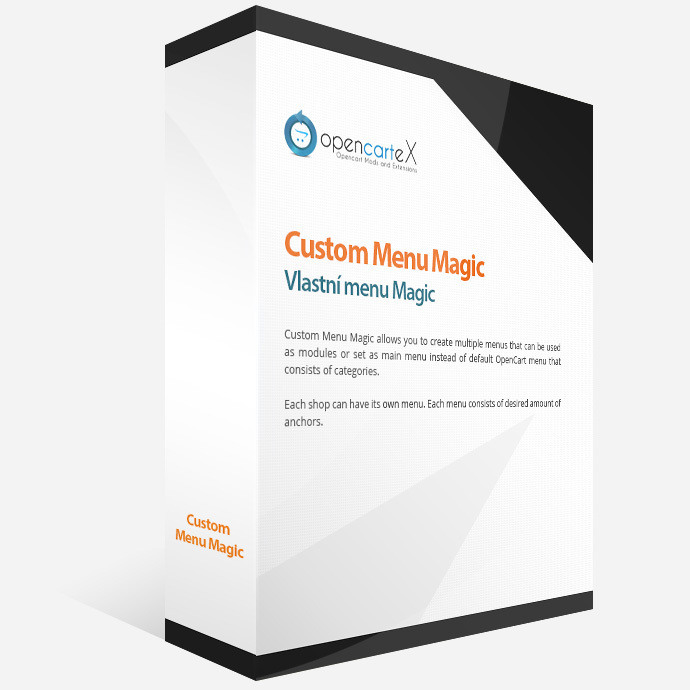 Custom Menu Magic allows you to create multiple menus that can be used as modules or set as main menu instead of default OpenCart menu that consists of categories. Each shop can have its own menu. Each menu consists of desired amount of anchors. Anchors are added into menu using drag and drop system and can be organised into unlimited subtrees. There are several anchor types available: homepage, category, manufacturer, product, specials, search, information, login/logout, account/register, shopping cart, checkout, contact, sitemap, store, custom URL and dummy. 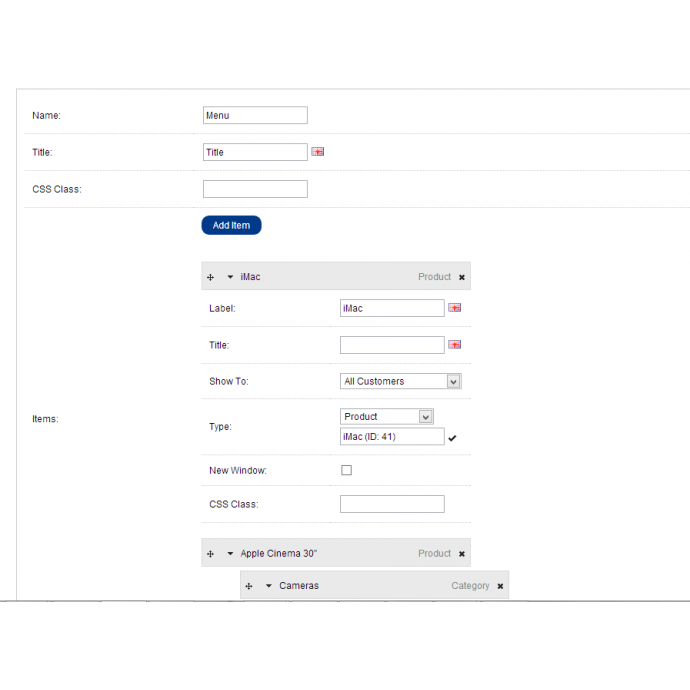 Category, manufacturer, product and information type is accompanied by autocomplete field to select required item. 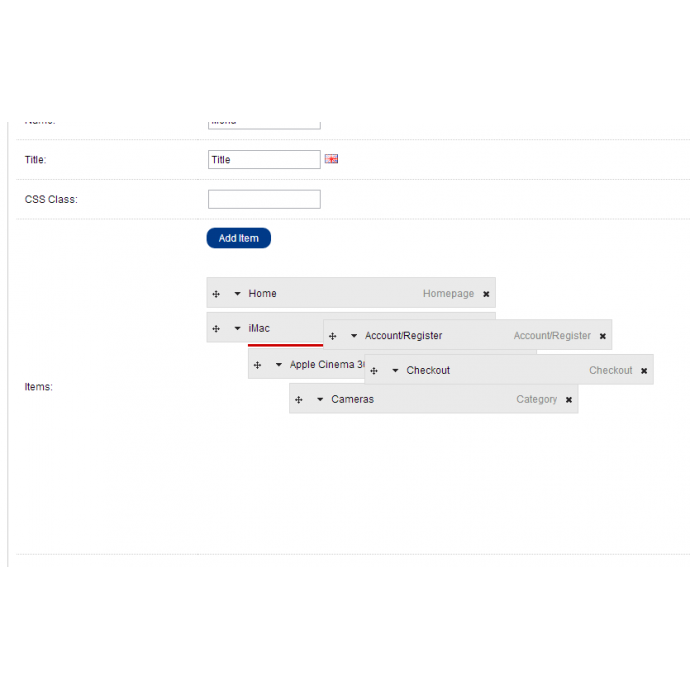 Login/logout and account/register change anchors by state of customer (logged in/not logged in) and labels can be separated by semicolon ; (first - not logged, last - logged). 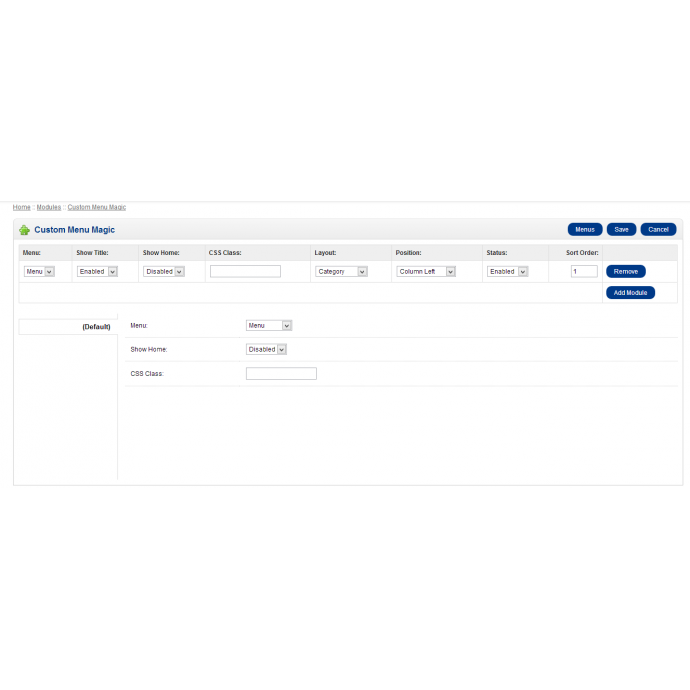 Each anchor can be set to be visible fot all customers, logged in customers or not logged in customers and has several other options that can cover all common needs.